A correctly functioning car brake is a necessity every car owner needs to have to avoid unfortunate accidents on the road. A faulty brake is a threat not just to you but to everybody else on the street as well. With us, at Easington Service Station, you can be assured that we will do the best brake repair in Easington. If that isn’t a possibility, we will do a complete replacement of the unit. When it comes to brakes, prevention is always better than cure. If you are observant, you can detect subtly but telling changes while driving and applying brakes that will tell you that your brakes are starting to give up. In case of the slightest sign of brake malfunction, you can come to us for brake repair in Easington. Our service station employs experts and specialists who will perform a thorough check-up on your car brake system. Thesemechanicsare technically experienced. So, you can trust them for sound advice as to whether a repair will work or if your brake system needs a replacement. At our garage, people of Easington, Saltburn-by-the-Sea, Cleveland and surrounding areas can be sure of receiving a quick and effective solution to their braking problems whenever issues crop up. What about Brake pad replacement? A car’s brake pad wears out after prolonged use. If you find that it has loosened or is making a squealing sound on brake application, it means that they need replacement. You can come to Easington Service Station whenever you feel your brake pads are not performing at their best. 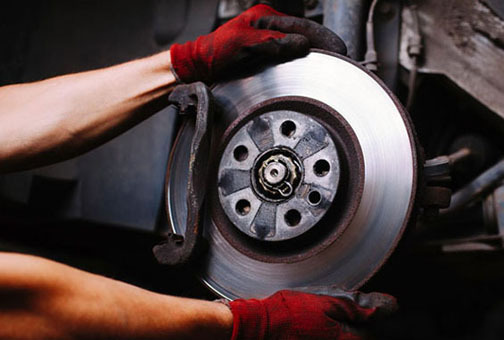 We will provide you with an adequatebrake pad replacement Easington for your vehicle. Along with brake repair in Easington, we also provide replacement and repair services for other car components. Besides, if you have any vehicle for disposal, you can approach us. We will buy it from you. We also buy scraped cars or those that have failed MOT. Our service station is open on all weekdays from 8:30 A.M. to 5:00 P.M. We are also open on Saturdays from 8:30 A.M. to 12:00 P.M. Visit us at any of these times and get expert repair services.